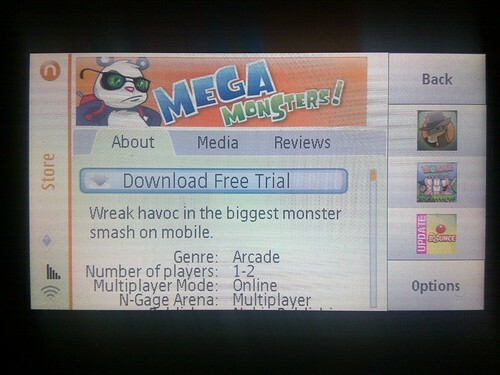 N-Gage: Mega Monsters Now Available! The N-Gage Application showroom has recently been updated today with Firemints N-Gage Debut of Mega Monsters. Mega Monsters is an arcade style game, in tribute to the arcade classic “RAMPAGE!” where the player takes control of giants monsters and wreak havoc across fully destructible enviroments. N-Gage: Dirk Dagger And The Nuclear Zeppelin Now Available! Last week Dirk Dagger And The Nuclear Zeppelin was added to the “Coming Soon” section of the N-Gage Showroom, now today (or late last night) the game has been uploaded onto the N-Gage Servers for us to download. Thats right Dirk Dagger 2 has finally landed and is available for purchase via the N-Gage Application on your phone. The N-Gage Wizard has recently gone live (Again). This wizard guides new (and current) N-Gage users on how to download and install the N-Gage application aswell as games onto their N-Gage Compatible device. Not only that if you registered your username and email address with the N-Gage Wizard you will recieve a “FREE Activation Code” which can be used to get a game of your choice. Guitar Hero 5 may have just been unleashed upon the world on the PS3, Wii and Xbox 360, however over on the “portable” side of things, Activisions popular “Guitar Hero World Tour Mobile” arrived on the N-Gage platform a few weeks ago, and at the moment is getting mixed “attention”. 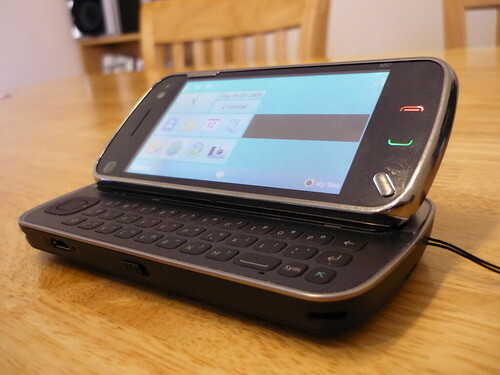 After four months of waiting i finally managed to get ahold of (for myself) a black Nokia N97 and even though it is pritty big, but not as big as an iphone, i am still very impressed with it. So to celebrate (me finally getting one) i decided to post a few pictures of it for everyone to see – as seeing the same old “stock” shots do get bery boring.